As people get busier and homes get smaller, the appealing alternative to pet — animal cafés — become more and more popular. 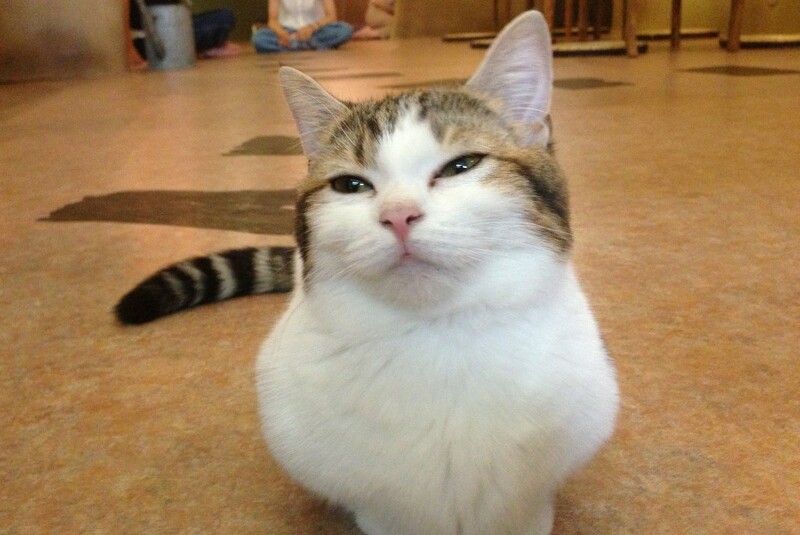 Cat cafés are beginning to spring up in Europe and North America, but Tokyo is already ahead of the game once again, innovating the industry with new ways to interact with the animals. From bunny theme parks to reptiles with lunch, tour Tokyo’s wildest animal cafés. Temari no Ouchi is nestled in the popular Kichijoji neighborhood. This café is decorated like a feline fairy tale, perhaps inspired by the nearby Ghibli Museum. The cats here are well taken care of: there’s lots of room for them to roam, and safe spots for them to escape when they tire of petting. Another cat café, MoCHA Shibuya covers occupies two floors and has plenty of seating so it never feels crowded. The interior was designed with the cats in mind, so they have tons of places to run, play, and hide. In addition to snacks and drinks for people, MoCHA sells treats for patrons to feed the cats. Ms Bunny houses a dozen or so cuddly bunnies and a few hedgehogs, too. Rather than roaming around like the cats at neko cafes, these rabbits are kept in their cages most of the time. Guests can have the bunnies for ten minutes at a time, to ensure the animals don’t become overwhelmed. There are also rabbit-care goods for sale and a bunny hotel for owners away on vacation. 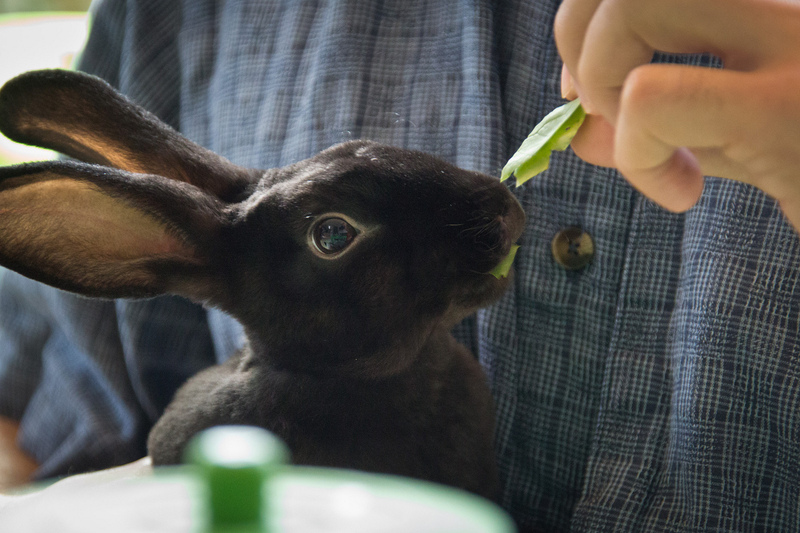 With Bunny is one of the largest animal cafés in Tokyo. It calls itself a bunny theme park. The café takes up five floors, plus a roof terrace for walking the rabbits on nice days. The café lets guests spend all their time with one bunny of their choosing. 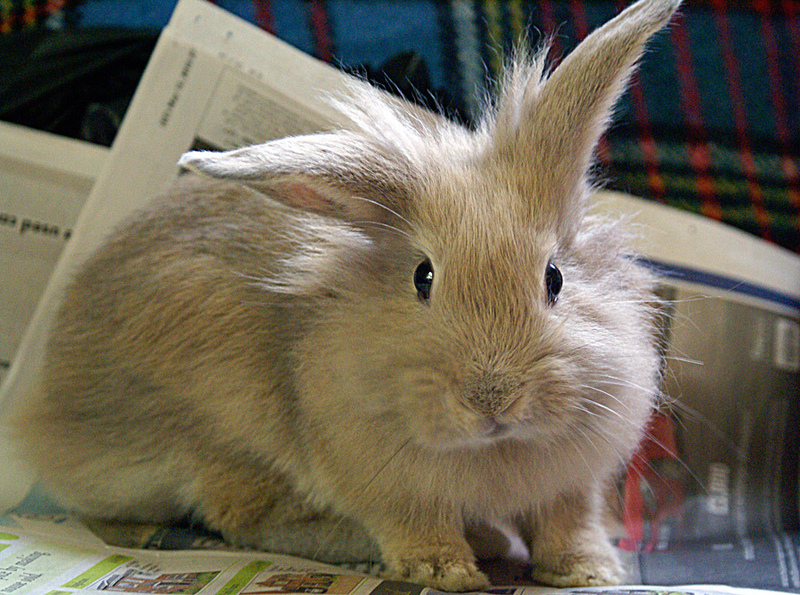 Bunny treats, walks, and other add-ons are available for additional fees. Near Yoyogi Park, Dog Heart is a café for dog lovers. The dogs are all friendly, small to medium-sized breeds eager for attention. In addition to quality time with the dogs indoors, Dog Heart allows visitors to rent a dog for a walk in the nearby park for an hour for a ¥3,600 fee. Kotori Cafe is more of a bird-themed café than a petting zoo. Birds are set up around the venue, but are safely tucked away in their cages – there’s no need to worry about finding a surprise in your teacup. One-on-one petting sessions are available for a small fee, however (¥500), so bird lovers can get up close and personal if they choose. The birds at Cafe Baron are allowed to fly around freely – or rather, the owls. Patrons can sip coffee and sample owl-themed treats while the fierce birds watch curiously from the adjacent table. While touching the owls is not allowed, it’s still a novel experience, different even from other cafés of its kind. Fukurou Sabou is another owl café. This small establishment allows diners to get a little closer to the animals. Patrons can choose the owl they would like to meet, and the animal is perched on their arm and shoulder over protective padding for a pet and a photo session. Tokyo Snake Center in Harajuku gives you the option to have a snake as your dining partner. Pay the entry fee, choose your refreshments and, of course, the snake you’d like to hang out with. 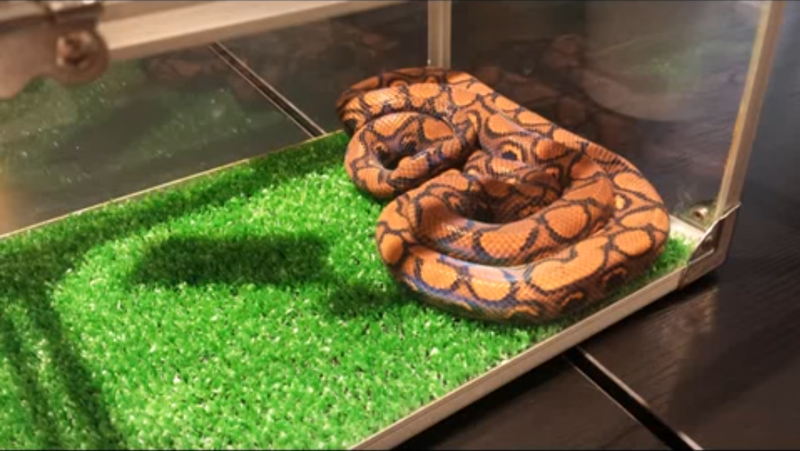 The reptile is kept safe in its transparent housing for the duration of the visit, but patrons can choose to hold the snake for an additional fee. This unusual café in the heart of Shibuya will have you spending the lunch hour in the company of a couple of goats. 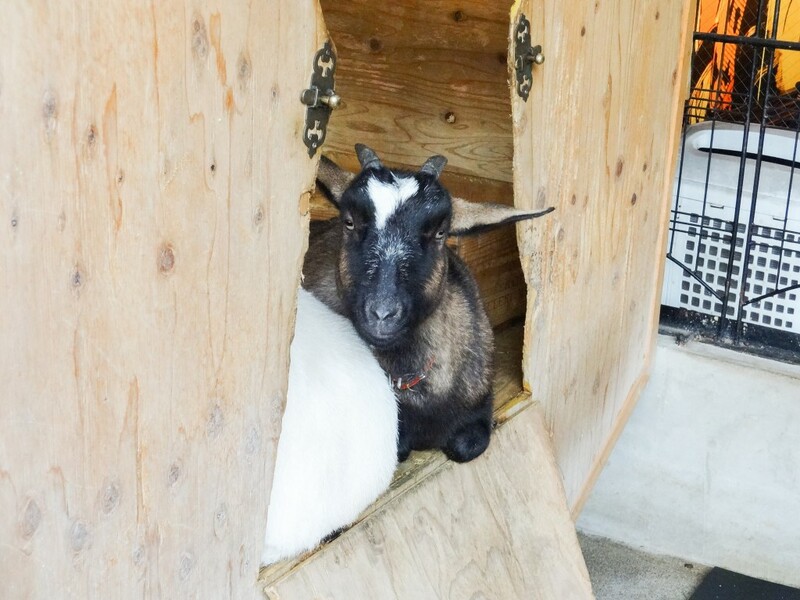 The goats, called Sakura and Chocolat, live in a pen at the front. They are outgoing and will cheerfully come to the edge of their enclosure to greet guests. The café is quite spacious besides, and a decent place for lunch even without the fuzzy mascots.